The Journeys sound pack is master sound designer Gregory Simpson's endeavor on sounds that evoke the essence of other times, places, or cultures. 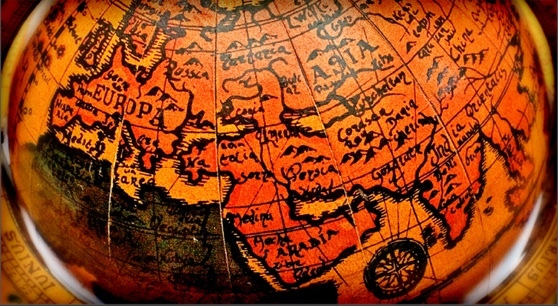 Indeed, this collection will get you traveling from the ancient centuries to modern times, from Asia to Africa, and everything in between. All that with the intrinsic acoustic quality of String Studio as your passport. In the mid-1980s, composer and sound designer Gregory Simpson started Sardonic Sounds—one of the earliest 3rd-party synthesizer sound developers. For several years, Sardonic Sounds was a successful and respected provider of sound banks for many popular synths. But, by 1990, Simpson's own recording projects began to dominate his time, as did his association with cutting-edge software pioneers, Opcode Systems. That association turned into a decade-long obsession where, as Opcode’s Director of Product Design, Simpson and his team continually broke new ground in the areas of sequencing, audio recording, MIDI, plugin development, and user interface design. Simpson continued this trend when, in 2001, he co-founded Muse Research and conceived and designed Receptor, a hardware VST-player. Nowadays Simpson has come full-circle and returned to his roots—sound design. Read our interview with Gregory Simpson. As a String Studio enthusiast I was well impressed with the playability of these patches, each of which responds to user expression in a unique way. Highly recommended, and a bargain at just $39 from the AAS on-line shop. 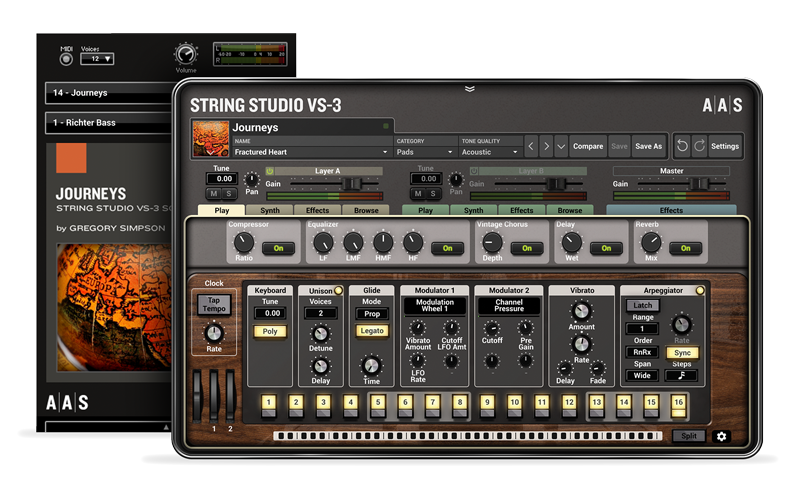 Journeys was created with the String Studio VS-3 string oscillator synthesizer. You can obviously play and edit the sounds in String Studio VS-3, but you can also access and play them via the free AAS Player included with your Journeys purchase.